As far as worst case rally scenarios go, getting arrested in a foreign country lies just beneath unrepairable failures and spectacular race-ending crashes. Two riders at Dakar found out the hard way that the route exists for a reason: so you don't go over an archaeological site by accident. 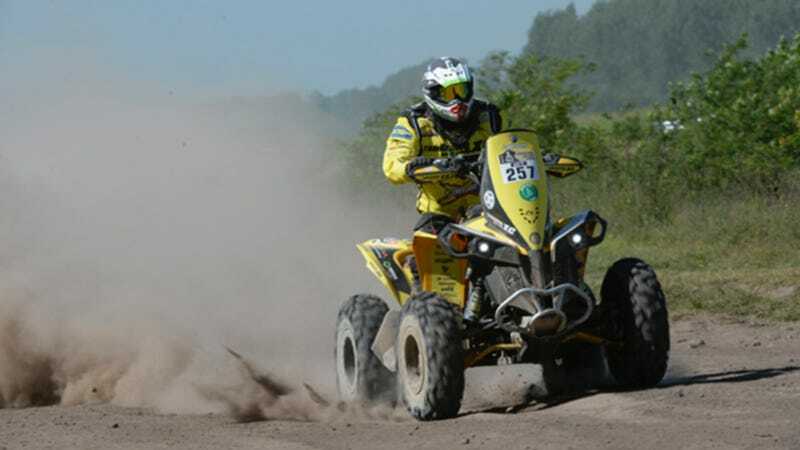 La Gazzetta dello Sport reports that motorcycle racer Matteo Casuccio and quad racer Kees Koolen lost the trail somewhere in the desert outside Antofagasta, Chile, during yesterday's Stage 5. The riders were taken into custody Thursday evening, where they were accused of damaging archaeological sites in the desert. Dakar Rally officials accompanied them into custody. "We do not want to break anything and apologize for what happened. It 'was just a mistake," explained Casuccio, as translated from La Gazetta dello Sport. According to RallyRaidNews, the two riders were detained for thirty minutes and then released. However, La Gazetta dello Sport warns that the Chilean court could prevent them from leaving the country as the rally moves into Bolivia. The Dakar Rally reaches Bolivia during Stage 7-A, which bikes and quads will run on January 11. Clarification: Photo is of another quad rider, as photos of Koolen and Casuccio were not available. The above rider is Sebastián Palma.